Those classic clear containers with the navy blue lids are the Pyrex we all know and love today. Sure, you may own a few Tupperware containers you felt obligated to purchase at a friend’s party a few years back, but who really uses those when they have the durability of Pyrex at their disposal? Nothing will ever beat it…except for maybe vintage Pyrex. Corning Glass Works launched the Pyrex line in 1915. They were the first ever to incorporate temperature-resistant glass into a practical product that could be used in the kitchen. Although the original design was clear, the same look we’re familiar with today, they launched a colored line of products in 1947. It’s this specific line of opaque, brightly-colored dishes that are the focal point of passionate Pyrex collectors. It’s not that they’re more durable or indestructible than ones made today, but the uniqueness of the colors and designs, coupled with the fact that they’re no longer being made, makes them a high commodity for people. So, the next time you’re at your grandma’s or perusing a thrift shop, keep your eye out for some of these iconic pieces. There are some vintage Pyrex lovers that are willing to pay up to $3,000 for a single product. 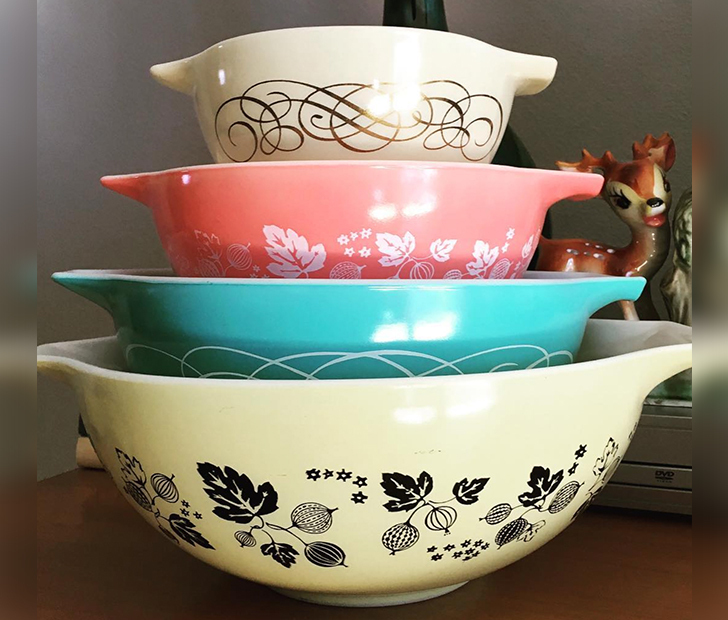 Know anyone with some vintage Pyrex? SHARE this article with them on FACEBOOK and let them know how much it could be worth!